I am fully aware that I sound like a Plantronics fanboy. But their stuff just keeps getting better. 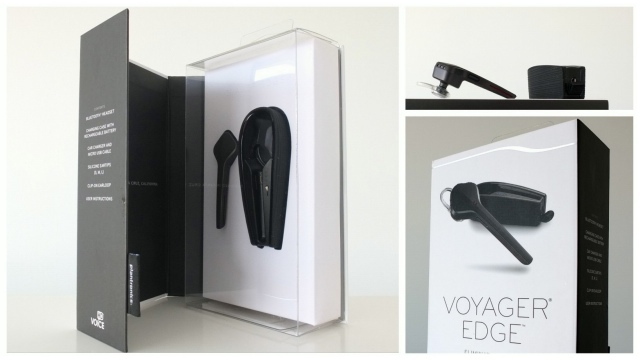 Case in point is the new Voyager Edge headset. At 9 gramms it sits inside your ear, and after a few minutes you forget that it's there. It connects to two devices at the same time, like your phone and your computer, and you can take calls from both. The Edge knows all the tricks from the Pro or Legend. And a few more. It's NFC enabled, so you can pair it with your phone just by tapping it. And it went back to a MicroUSB plug like the Pro has. No need for special cables, since it charges right from your phone charger. Like the Legend it has a sliding on/off switch and two buttons to adjust the volume. One button on the boom serves as the mute/command switch, tapping on your ear is the call/break switch. When a call comes in, the Edge will announce the caller and you can use the answer/ignore voice commands to handle the call. Like the Pro and the Legend, the Edge also comes with smart sensors which tell the headset whether it's on your ear. If you take it off, calls get transferred back to the phone or music stops streaming. Put it on, and the headset will take an incoming call or resume playing music. 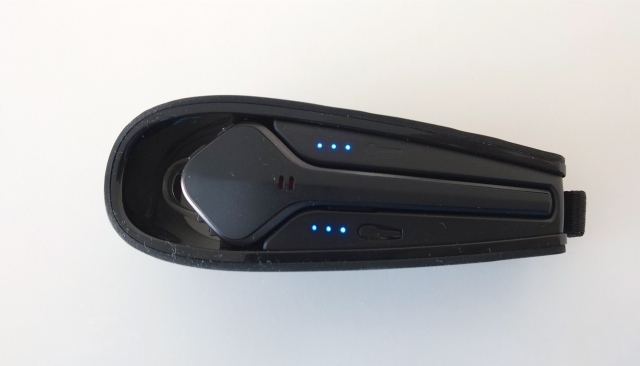 A nice charging case will protect the headset in your pocket and top it off. I never really needed to recharge it, since it has a six hours talk time or seven days on standby when switched on. It supports Bluetooh 4.0 and HD Voice which I cannot test because it is not supported on my network. 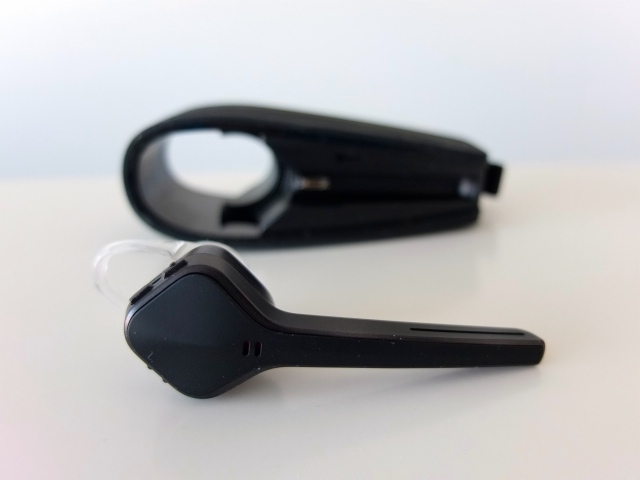 There are three different sizes of ear gels and a clip-on loop, if you don't trust the fit. Me ears are medium sized so I hardly ever have to adjust the gel that's already on the headset. At first I switched to the larger one, but quickly found out that the medium size holds the headset firm enough. I simply can't shake it off my head. I have also worn it on my bike and it just stays put. Do you have to throw away your Voyager Pro or Legend and get this new headset? Absolutely not. But it's going to replace mine. It's just a lot easier to get on your ear and it's also more comfortable. Telephone is a good idea. I can terminate a VoIP connection on my Fritz!Box and then use the Edge with my iMac instead of the Gigaset. Whats about the volume compared to the Legend, which for me could be a little bit louder. Especially in my car. It fits a bit better into my ear, which makes it louder. But I never really had an issue with the Legend either. 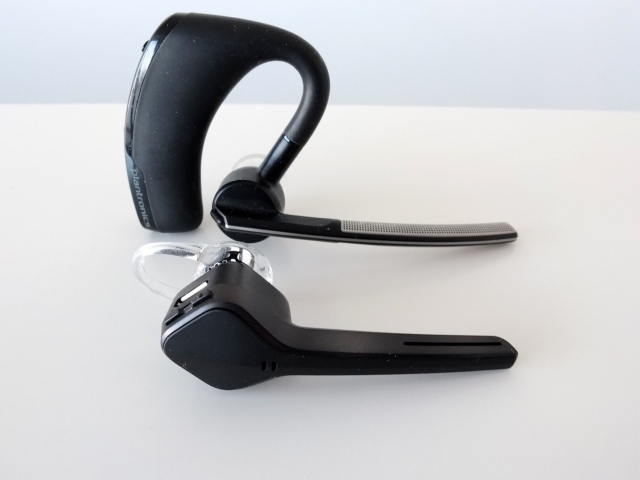 I'm using the Plantronics Voyager Legend UC for work and can totally understand VoWe's enthusism - works great with my Surface and Lumia 1020, great voice and sound quality. have you tried this with serious movement, like transit/commuting? I know you don't commute daily, but I need to replace my Legend as it got crushed. I have only have over the ear devices before. Just looking for a bit more feedback on use before pulling the trigger. Yes. I find it fits very well. Strong wind may be a problem, but riding a bicycle has not been. You can also brush it off your ear more easily. 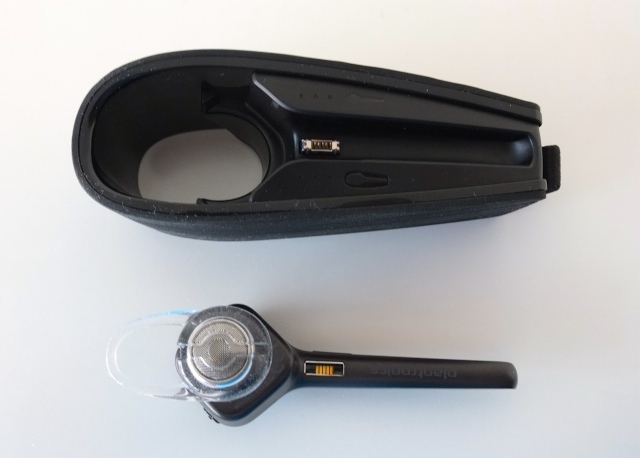 However, if you find that to be an issue, there is a clear clip-on loop provided in the box, which goes over your ear. I lost the clip on ear loop for the Edge and don't know where to go to replace it. Any ideas? I found nothing online. Interesting that you were able to connect to a PC from the Edge. I have windows 7 and a Mac and both are not able to detect the device. Can you provide insights into how you paired with PC?